There's only one thing more satisfying than hearing a good joke that makes you throw your head back and laugh until your sides hurt, and that, of course, is telling one. And the only thing more satisfying than telling a good joke is having a captive crowd willing and eager to listen. If that kind of thing is right up your alley, whether you love being on center stage or just taking in the show, you're in for a treat. 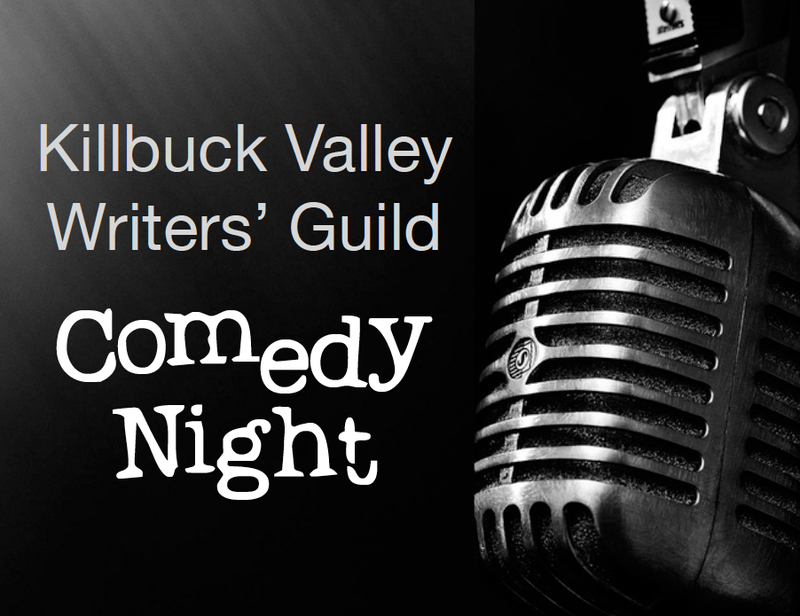 On Saturday, Nov. 9, the Killbuck Valley Writers' Guild (KVWG) will present its first ever comedy night in the beautiful Buckeye Room of historic Hotel Millersburg. The goal of this fun-filled night of laughs is to create scholarships for young writers for Power of the Pen and the Wayne Writers' Workshop. The event is the brainchild of KVWG founder Raymond Buckland, Holmes County novelist and veteran comedy writer. During World War II in London, performing stand-up was a regular pastime for Buckland. "We did a lot of amateur theatrics," Buckland says, "because there wasn't much in the way of entertainment then--no television or internet, no big sports events. But there were a lot of little review clubs and the like." In those clubs, Buckland performed his first ventriloquist act at age 16 which set the stage for later comedic gigs, including writing for popular English comedian Ted Lune and creating comic screenplays in San Diego. Buckland says the KVWG comedy night was inspired by the annual Poesies Awards, a local poetry competition that takes place in Holmes County each spring. Unlike the Poesies, however, the comedy night will be noncompetitive, so Buckland encourages those 18 and older to pull together their funniest shtick (or just come and watch), even if you've never done it before, and show up at the hotel for the 7 pm registration. It's $5 to register ($3 for students) with all proceeds going towards youth writing scholarships. "Anyone 18 or over who has ever had the slightest temptation to be a standup comedian should try it," Buckland says. "It's not a competition, but, rather, a big party." The evening will be emceed by Bill Martino who promises to set the mood with his own batch of stories as he draws registrants' names from a hat to determine performance order. Performers should arrive with a prepared piece of five minutes or longer. Want to give it a go but not sure how to start? Buckland assures would-be comics that coming up with a routine that will make 'em laugh is as easy as carrying on a conversation. His tips for preparing a spot? Simple. "Just think of a topic that interests you and run with it--that's the best way to go, rather than stringing together miscellaneous jokes. Think of a series of humorous incidents that happen in the home, about how things go in life--miscommunications, problems with your car, with school, just about anything." Or focus on current events in true late-night style by scanning the local and national news, then put together a monologue based on what strikes you as funny or ironic. According to Buckland, there's just one rule--make sure the material is all your own. "Don't go out and steal someone else's stuff," Buckland says, "but, instead, try to establish your own voice." For those interested in coaching prior to the event, Buckland invites would-be comedy writers, or scribblers of any sort, to visit the Killbuck Valley Writers' Guild in the fireplace room at Jitters Coffee House in Millersburg each Sunday afternoon from 1-4 pm. For more information, call 330-464-0624.